Gerriet Schultz encounters DJ Pawas. As co-founder of the WMF, Schultz made Berlin club and Techno history. 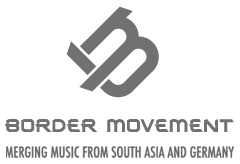 With his platform Border Movement he promotes the exchange between German and South Asian musicians.